The inaugural Meeting of the United National Party was held on Friday, 6th September,1946 at 5. p.m.at Palmcourt, Albert Crescent. Honble Col.: J. L. Kotalawala who was convenor welcomed the members and read the letter convening the Meeting. He then invited Honble Mr.D. S. Senanayake to occupy the chair. Honble Mr.D. S. Senanayake took the chair and addressed the Meeting and explained the aims and objects of the Party. He also emphasised the importance and the need for unity among all communities residing in the Island. He also appealed for goodwill and mutual trust and expressed the hope that the United National Party will be a strong political force in the country and will play a great part in moulding the future destinies of the people. The following resolution "That this Meeting resolves to from a political Party to be cold the United National Party " was moved by Mr.S Natesan, N.S.C. and seconded by Mr.T. B. Jayah, M.S.C. the resolution was put to the House and was carried unanimously. The next resolution "That this meeting adopts the Manifesto and Constitution of the Party was moved by Mr.A. F. Molamure, M.S.C. and seconded by Mr.A. R. A. Razik, M.S.C., The resolution was put to the House and was carried unanimously. Then followed the election of office bearers. Honble Mr.D. S. Senanayake vacated the chair and Honble Mr. S. W. R. D. Bandaranaike occupied the chair pro tem and after delivering a short address, proposed the name of Honble Mr.Senanayake as chairman of the Party. Honble Mr.George E. de Silva seconded and was carried unanimously. Honble Mr.Senanayake proposed from the chair the election of Messrs. Bandaranaike, Kotalawala, George E. de Silva, A. Mahadeva and T. B. Jayah as Vice-Chairman and this was carried unanimously. Honble Mr. Senanayake proposed the name of Mr.H. W. Amarasuriya as Honorary General Secretary and Messrs. A. R. A. Razik and. J. R. Jayawardene as Honorary Join Treasurers. This was carried unanimously. Dr.V. R. Sohokman and seconded by Dr.L. A.Rajapakse, K.C. Over a period spanning half a century, the United National Party has established an unparalleled record of service to Sri Lanka, spearheading Sri Lanka's remarkable economic and social progress. The United National Party has established itself firmly as the strongest single political party of the country. "The constitution with which this Island has been endowed requires a government backed by a firm and disciplined majority. It also required a strong party. We are not, as our opponents wishfully think we are, a temporary coalition formed for the purpose of winning seats at the first election. We are a permanent Organization designed to act on a constitutional policy in The House of Representatives whether as the government or in opposition." The United National Party, in the fullest sense of the expression, is a united and national Organisation. This is because the United National Party has been constituted to enable comprehensive representation of all racial, social and other groups. 2. The Party Symbol is the Elephant and the Party Colour is Green. Quite appropriately, Hon D S Senanayake was appointed the Founder- President of the United National Party. This great helmsman, responsible for the destiny of this land, organized the Part with a far-sighted vision of the future well-being of the Nation. 2. To organize and maintain in Parliament and in the country a political party with a view to gaining power at Presidential, Parliamentary and other elections. 2.2 To put into effect the principles, policies and programmes of work approved by the Party. 2.3 Generally to promote the political education of the people and their political, social, economic and cultural advancement and to promote universal franchise and recognition of the Fundamental Rights of the people and acceptance of equal rights and opportunities for all. The records of the early days of the Party also bear witness to many others who gave their unstinting support and co-operation in those early days. Following were the founder office bearers: Vice Presidents S W R D Bandaranayake, T B Jayah, Arunachalam Mahadeva, S Natesan, J L Kotalawela and George R de Silva; Joint Treasurers A R A Razik and J R Jayewardene; and the Secretary, H W Amarasuriya. At the founding of the Party we had just 205 members. Fifty years later, today, the membership has swelled to 1.4 million. The United National Party was responsible for the Administration of the country for 31 years of its 50 year history. During the remaining nineteen years, the United National Party, while being in the Opposition, has addressed itself to the task of maintaining the momentum of progress along the path it initiated. When we view the evolution of this country in historical perspective, the outstanding service rendered by the United National Party to this country by winning Independence, becomes crystal clear. After releasing the nation from the yoke of the British Empire and gaining political freedom, the United National Party turned to the colossal task of winning economic freedom - indispensable for the achievement of an independent nationhood. The United National Party is the only political party that has been represented in Parliament without an interruption, since Independence. The United National Party is also the only political party that has contested all elections held since the country won Independence. The United National Party that has recorded such innumerable achievements and triumphs in the Field of politics, brought into being an outstanding line of national leaders as well. The Hon D S Senanayake was the Party's first Leader. The United National Party contested the General Election in 1947, under his leadership. The Party achieved victory gaining a total of 751,432 votes. This represented 39.8 percent of the total votes polled. At this election, 42 Members of Parliament were returned from the UNP. Hon D S Senanayake who founded the United National Party and ushered in not only independence but Democracy itself to Sri Lanka, passed away on the 22nd of March 1952. "After centuries of domestic conflict and foreign overlordship, Ceylon gained her Independence on February 4, 1948. On that day our people opened a new chapter in their history in an atmosphere of peace, prosperity and communal harmony. Since then our young Dominion has received many practical expressions of goodwill, not only from the other members of the commonwealth of National but also from several National outside it. "Since 1931, we have enjoyed an adult franchise and today our Government is as democratic as any in the world, We believe in liberty and brotherhood and we seek justice for all. Freedom of speech and freedom of worship are integral features of our way of life. Without them we cannot be a true Democracy. "To justify our Freedom we must work hard, work patiently, and work with a strong faith in our destiny. A new constitution cannot by itself secure or ensure freedom, Above all we want honest Government and clean administration. The Politician and Public Servant are but trustees of the people, for the majority of whom life is still a grim struggle. Those who are called to positions of leadership must dedicate themselves a new reputation and is considered to be as good as any in the world. 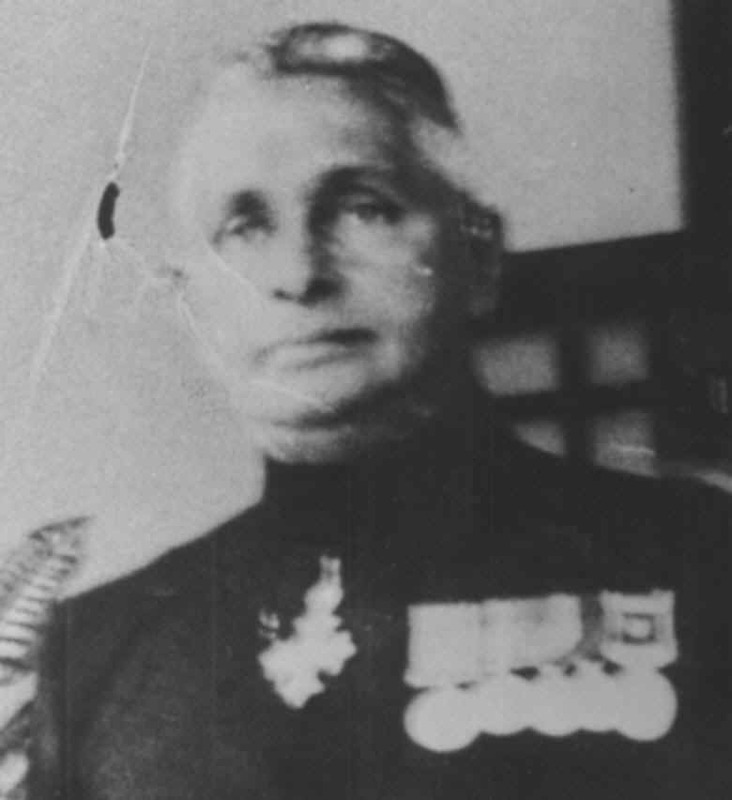 The public service which was first designed to promote the interests of Ceylon as a part and parcel only of the wider imperial interests and which has proved its high efficiency in this task in the past, must now bend its energies wholeheartedly to the service of its new masters  the people of Ceylon. A period of transition and adjustment will test the fibre of the Politician and the Public servant. There can be no place for frustration when we labour for our country. "We have vast resources, material and moral, hitherto only partially developed to fit into a scheme of Colonial and Imperial economy, Independent Ceylon must grow to full stature with proper balance in all her parts, for which purpose we must develop her available resources to the fullest extent. "We have now the priceless possession of freedom and the opportunity to make our country one of the happiest spots on earth. Let us be worthy of this high mission." With the Hon D S Senanayake's death, the mantle of leadership of the United National Party fell on Dudley Senanayake. Dudley Senanayake who became both Leader and Prime Minister, dissolved Parliament in 1952 and held fresh elections. At this Election, the United National Party polled 1,026,000 votes and recorded a percentage five points higher than in 1947. Fifty four United National Party candidates were elected to Parliament. This marks the first time a political party achieved a two-thirds majority in Parliament in Sri Lanka. 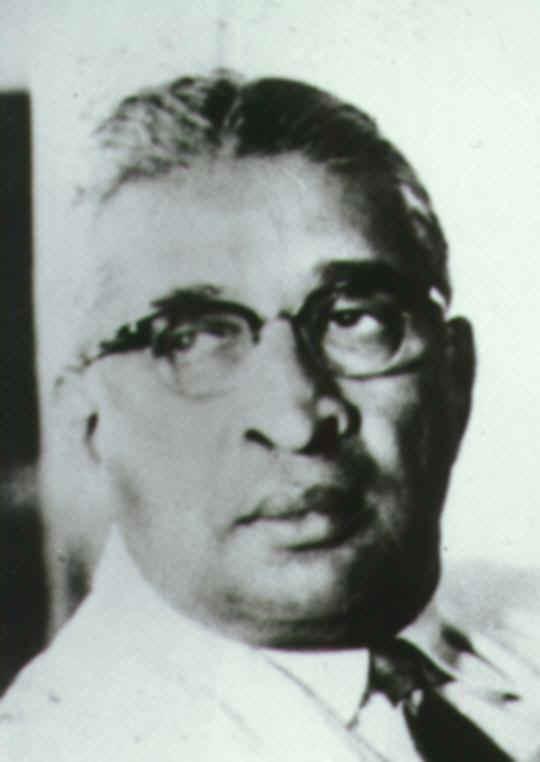 In 1953 Hon Dudley Senanayake resigned from the Premiership and the Party Leadership due to ill health. 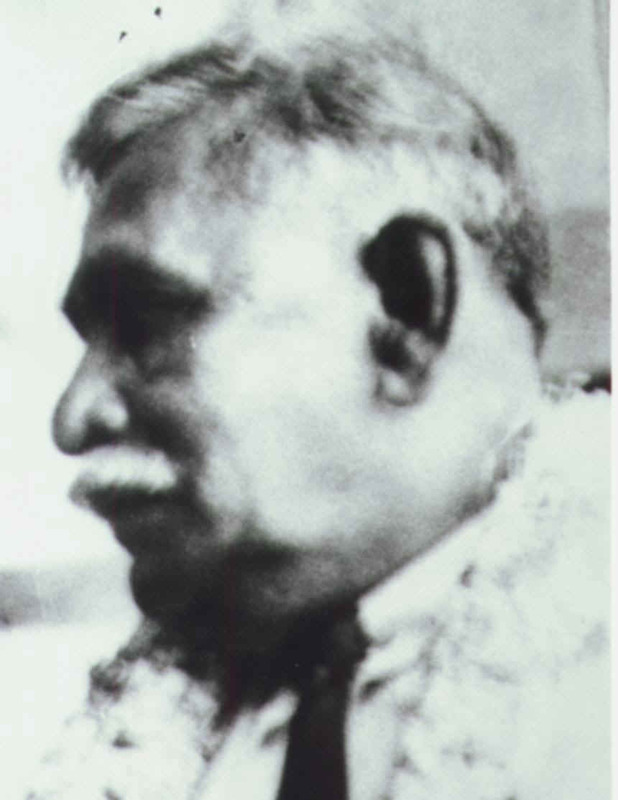 Sir John Kotalawela was the third to assume the leadership of the United National Party. During this period, in 1956, the United National Party faced a General Election and suffered a crushing defeat. In this election, the UNP was for the first time pitted against a united and strong opposition. The United National Party polled 738,750 votes. Only eight members of the United National Party were elected. After the defeat in 1956, Sir John Kotalawela gave up the leadership of the Party. The task of re-building and re-organizing the Party fell to the lot of Hon J R Jayewardene. J R Jayewardene, with tremendous courage, faced the challenges of re-organizing the Party with great vigor. He breathed new life to the United National Party. The clearly perceptible result of his great effort at re-building the Party was the impressive victory of the United National Party at the Colombo Municipal Council Elections on the 19th of December 1956 - just seven months after the Party's humiliating defeat in 1956. In 1958, Mr. Dudley Senanayake was invited to lead the Party once again. At the polls in March 1960, under his leadership, the United National Party polled 908,996 votes. Fifty UNP members were returned. The minority Government that was formed by Mr. Dudley Senanayake in March 1960 was defeated in Parliament at the Throne Speech debate. At the General Elections held in July 1960, on the dissolution of Parliament, the United National Party was defeated once again. Although the United National Party polled 1,143,000 votes, only 30 seats were won by the Party in Parliament. However, this represented an increase of 150,000 votes over those received in March. In 1964, the Coalition Government of SLFP-LSSP and the Communist Party, introduced a Bill to take over Lake House. At the parliamentary crisis relating to the Vote of Thanks debated on 5th December 1964, the UNP-led opposition defeated the ruling Coalition. At the subsequent General Elections, held in 1965, the United National Party achieved victory. At these Elections in 1965, the United National Party polled 1,579,181 votes. Sixty- six Members of Parliament were returned. The number of votes polled by the United National Party at these elections exceeded those polled in 1960 by 400,000. The United National Party was defeated at the Polls once again in 1970. At that General Election the United National Party polled 1,870,000 votes. This time too, the United National Party polled 300,000 votes in excess of the number achieved in 1965. Seventeen Members of Parliament were returned. 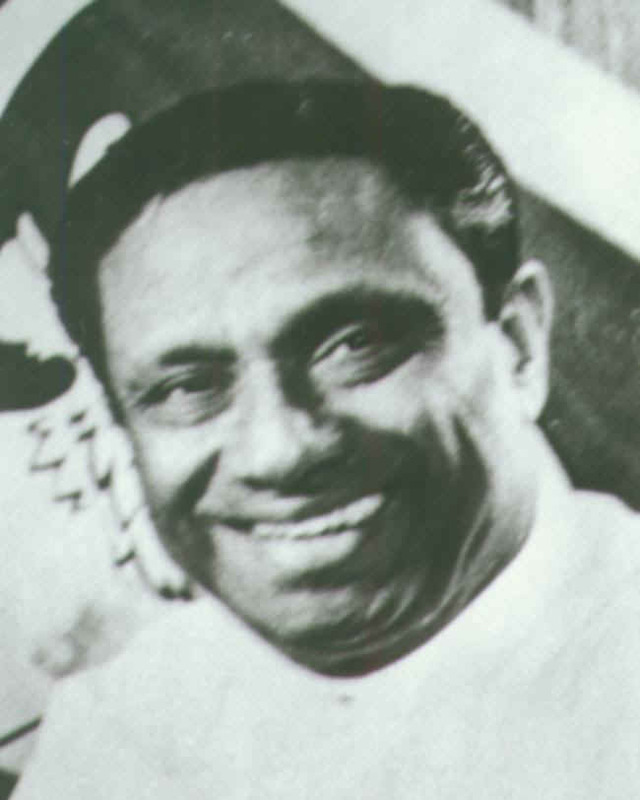 The Leader of the Party, Hon Dudley Senanayake passed away in April 1973. 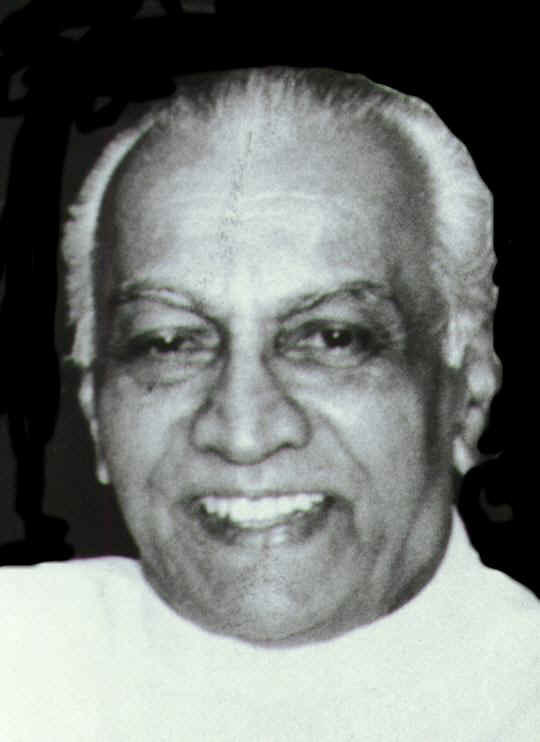 After his demise, Hon J R Jayewardene took the reins of the Party as its fourth Leader. From the time he assumed leadership, Mr. J R Jayewardene initiated the process of reviving the Party, re-organizing the Party in an unprecedented manner. A major focus of his effort was to give the due place to those groups that had received scant attention until then. In consequence, the Party focused its attention on the Youth, revitalized the Trade Unions, strengthened Women's Organizations and formulated policies to reflect the changes in social and political trends both here and overseas. The Party launched a campaign under the new leadership to challenge the actions of the Government of the time both inside and outside Parliament, as the situation demanded. It was at this time that the Government banned meetings of the United National Party under Emergency Regulations. This was unequivocally opposed by the United National Party. Mr. J R Jayewardene resigned his Seat in Parliament in 1975 to protest the decision of the SLFP, LSSP and CP Coalition Government to extend the life of the Parliament by two more years. Re-contesting the seat, Mr. Jayewardene won a resounding victory. The cumulative effect of all these initiatives was the renewal of popularity of the United National Party. The General Elections of 1977 clearly put to test the leadership of Mr. J R Jayewardene, and the results were overwhelming. The United National Party achieved a landslide victory in 1977, polling 3,179,221 votes. One-hundred and forty UNP Members were returned. This time, the United National Party exceeded its 1970 votes by 1.3 million. The percentage was 50.92. This represented the largest ever number of Members returned to Parliament by any single political party. The United National Party received a five-sixth (5/6) majority in Parliament. This was a record at Parliamentary Elections in any democratic country of the world. This victory was the forerunner to many other political initiatives. The New Constitution was promulgated in 1978. In the same year, Mr. J R Jayewardene was appointed the first Executive President of Sri Lanka. This was the prelude to further UNP successes. Mr. J R Jayewardene was again victorious at the Presidential Elections in 1982. At this Election, the United National Party polled 3,450,000 votes. Ranasinghe Premadasa was chosen as the United National Party candidate for the Presidential Elections in 1988. In the same year, he won the Presidential Elections. On the 2nd of January 1989, Mr. J R Jayewardene retired as President in terms of the Constitution. On his retirement Mr. Ranasinghe Premadasa was sworn in as the Second Executive President of Sri Lanka. Mr. Ranasinghe Premadasa polled 2,569,000 votes at this Presidential Election. At the General Elections held in 1989, the United National Party once again achieved victory, polling 2,837,000 votes. The First Sri Lankan Head of State to become the Chairman of the SAARC was Mr. Ranasinghe Premadasa. The fifth Leader of the United National Party, Mr. Ranasinghe Premadasa was assassinated on the 1st of May 1993. Mr. D B Wijetunge succeeded him as the sixth Leader of the United National Party. 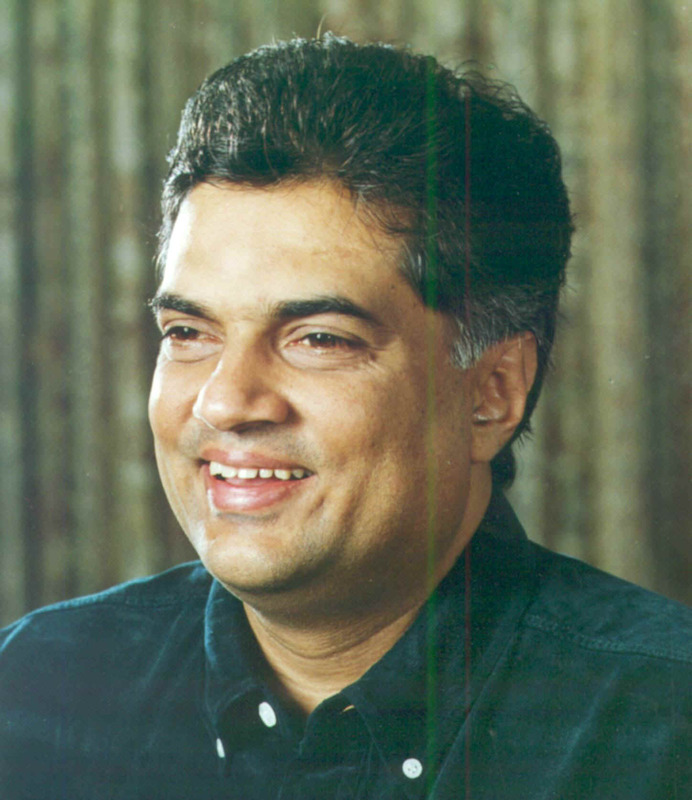 Leader of the House Mr. Ranil Wickremesinghe became Prime Minister. At the General Elections held in August 1994, the United National Party under the leadership of Mr. D B Wijetunge suffered defeat. At this Election, the United National Party polled 3,400,980. Eighty-six members were returned. At the Presidential Elections held in November 1994, the United National Party was defeated once again. In this election the United National Party's Presidential Candidate Mr. Gamini Dissanayake, fell victim to a bomb-attack. Shortly before Election Day. Mrs. Srima Dissanayake was elected as the substitute Presidential Candidate by the United National Party. As an inevitable outcome of the turbulent conditions that existed in the country and also within the Party at this time, the United National Party polled only 2,700,150 votes at this Presidential Election. The present leader of the United National Party, Mr. Ranil Wickremesinghe is its seventh Leader. He was elected Leader of the Party in November 1994. Mr. Ranil Wickremesinghe is the first Leader of the United National Party born after Independence. He commenced re-building the Party, which had been defeated at three consecutive elections, within his first week as Party Leader. When he assumed leader-ship, the United National Party was in the doldrums. Apart from the electoral losses, it had also lost many of its leaders. Finances and party morale were at an all time low. The New Leader lost no time in rescuing the Party from this weakened state. Moving swiftly, he took many measures to infuse new life to the Party. He re-fashioned the Party policies to reflect aspirations of a new society - "A New Path for a New Generation. He has commenced the process of restructuring the party to take Sri Lanka into the 21 st century. Under the guidance of all its seven leaders, the primary task of the party, a task it has ad hered to with a clear and unwavering commitment, has been to bring peace, harmony and prosperity to Sri Lankans of all walks of life. Over this span of half a century, the unrelenting effort of the United National Party has been to make political Independence a meaningful and living reality to our people and not a mere mantra. In its 50 years, the United National Party has evolved not only into a mature and professionally managed political force, strong and united even in opposition, but a way of life in itself. The following pages will examine key landmarks in Sri Lanka's development in this light. The UNP is endowed with a wealth of political experience which has been used throughout its fifty-year history to enrich the lives of our people. Thirty-one years in office and nineteen years in opposition have forged the badge which is the sign of the nation-builder and the distinctive mark of responsible and far-seeing governance. In the finest and fullest sense, the UNP has been a party of revolutionary achievement. The UNP led the movement that was responsible for Sri Lanka's independence. The UNP made independence a reality by creating a free society based on democratic freedom, with sovereignty residing in the people. Fundamental rights were written into the constitution. The government was brought close to the people by devolving power on the Provincial Councils. Sinhala and Tamil were made official languages. We became a member of the Commonwealth. The UNP spearheaded Sri Lanka's entry into the international community by gaining admission to the United Nations, and, as nationhood matured, contributed to the setting up of SAARC. We entered the World Trade Organization and gained international commercial advantage. National pride was elevated by the UNP through a cultural renaissance. The Art Council which was set up by the UNP, revived national culture. The Cultural Triangle created with the active assistance of UNESCO, restored our archaeological treasures and revealed our glorious heritage. Sri Jayawardenepura, in the ancient kingdom of Kotte, was proclaimed the capital of Sri Lanka, awakening a new interest in the area. Religion was recognized as being vital to maintain the moral integrity of the nation, and always accorded the highest dignity and respect. Government patronage was extended to religious bodies. By introducing free education, the UNP shook the very foundations of privilege, and created opportunities for rural youth to reach positions of prestige in public administration, engineering, medicine,law and financial management,among others. Parents were freed from the burden of finding money to give their children a proper education. Free text books and school uniforms were provided. The setting up of central schools throughout the country assured a comprehensive education for all. 4.3 million students attended schools in 1993. Hundreds of thousands received post-school training. The UNP extended and expanded university education. It set up the Open University, the Colleges of Education, the National Institute of Education and Technical Education, and the Institute of Apprentice and Vocational Training. Postgraduate education was begun. 32,000 students were in universities in 1993. Media freedom received special consideration, and it was the UNP government that opened Sri Lanka's window on the world with the introduction of television. This enlightened attitude further led the UNP government to liberalize the electronic media by granting operating rights to private radio and television stations. There are 1.5 million TV sets and 4 million Radio sets in Sri Lanka. The communication revolution was brought to the village. Newspapers too, flourished. The 'lsland' group, the Wijeya Publications, the 'Sunday Leader,' 'Lakbima' and an abundance of tabloids, all came into existence during the UNP regime. The UNP fed the nation. It engineered a revolution in agriculture with the giant Gal Oya and Uda Walawe projects, and the massive Mahaweli. By restoring the ancient irrigation tanks of Kantale, Padaviya, Huruluwewa, Kandalama, Kawdulla, Giritale, and the Parakrama Samudraya, it brought back pride and progress to the agrarian sector. Thousands of village tanks were also restored. The Mahaweli Development Project saw work on four huge dams commencing in quick succession, with completion accomplished in six years. Thousands of and acres came under irrigation. Nearly 2 million acres of land were given to the landless. Paddy production in 1993, increased to 3430 kgs per hectare. Thousands of families moved into new homes where the light of hope now shone with a renewed brightness. After centuries of effort, the rice needed in Sri Lanka was grown in Sri Lanka. The UNP clothed the Nation. Vastly increased production, made textiles and readymade garments freely available. Sri Lankans were the best dressed in the region. Housing was seen as a challenge by the UNP Government. The million houses programme conceived by the UNP turned the dreams of the homeless and displaced into reality. A million and more houses were built. With proper planning, practical wisdom and modern construction methods, whole new villages, towns and cities sprang up all over the country. Anuradhapura New Town and other new cities, Girandurukotte, Galnewa, Bulnewa, Embilipitiya, Ampara, Teldeniya and Ratnapura were also brought into being by the United National Party. The production-oriented programme of poverty alleviation was launched by the UNP to make the poorest of the poor, self-reliant. Broad basing of shares directly and through Unit Trusts made the small investor a share holder in quoted companies. Incomes and savings improved. Small businesses burgeoned. The ranks of the middle class swelled. The UNP brought us out of economic imprisonment by opening our doors to the gains of global enterprise. The great particular revolution the UNP wrought, its greatest achievement, has been in the economic arena. The open economy demolished the fortress of bureaucratic controls and restrictions, and set free the forces of the market to create wealth for the enterprising citizen. Enormous benefits, followed with even pavement pitchmen seizing the opportunity to be part of the new entrepreneurial order. Industry accelerated as Free Trade Zones opened up in Katunayake, Biyagama and Koggala, with streams of foreign investors pouring in capital, bringing in machinery, and providing state-of-the-art technology. Greater emphasis was placed on non-traditional exports and re-shipment. The UNP reinvented tourism by turning it into a major income earner. The industry created vast employment opportunities. Improved communications supported the success of the open economy. The world revolution in telecommunications technology was drawn into Sri Lanka with the introduction of mobile cellular telephones and networks. Landline services were modernized and extended. A Stock Exchange was established as a vital component of the open economy, and, in the time of the UNP, experienced vigorous trading activity and high turnover. Wealth was created by the billion. A network of modern roads and highways was developed. Colombo Port was upgraded to take its position as the best in South Asia. Extended facilities at the Katunayake Airport generated higher turnover of passenger traffic and cargo. During the UNP regime the trade spectrum was broadened. Where earlier, as a colonial economy, we traded with Great Britain, the UNP commenced trading with the wider world making the USA, Middle East, China, Japan, and Korea, among others, also our trade partners. The UNP took its revolutionary approach to the Fishing industry by introducing a series of measures to improve the productive efficiency of Fishermen and enhance their quality of life. Land, housing, electricity, multi-day boats and outboard motors, and a pension scheme, became part of their new lot. Under the UNP Government, every sector of the economy awoke to a new life. The pulse of the nation began to beat again. Since 1977 alone, the UNP created 2.5 million jobs. For millions more, life became meaningful where earlier, hope did not exist. This is one of the UNP's great glories. The UNP also opened up avenues of foreign employment to over 300,000 rural men and women. By adding 1400 megawatts of power to the national grid, the UNP created vast opportunities for self-employment. Youth found a place in society. The National Youth Council was set up to promote youth activity and develop leadership. Youth Clubs were formed. Youth got pride of place. Sri Lanka received test status in cricket through the efforts and encouragement of the UNP government. Athletes from the rural areas competed and won in international events. Government-sponsored sports festivals were held in places such as Bakamuna and Girandurukotte. Equal employment opportunities in every sector were opened to women, giving them economic independence. They joined the work force in large numbers making an impressive contribution to the economy. Their rights were protected by Women's Charter. Workers were given free shares in 'peoplised' ventures. The Employees' Trust Fund was inaugurated for the benefit of private sector workers. The Gratuities Bill was introduced. Maternity leave was increased to 84 working days. In 1977, unemployment stood at 24%. This was reduced to 12% in 1993. The UNP always believed that a healthy nation made a strong nation. The prevention and eradication of disease received serious attention. Malaria was successfully combated. The infant mortality rate was reduced by 95%. A primary health hazard was eliminated by providing safe drinking water to 5 million people. Immunization schemes were reactivated. Emphasis was placed on preventive medicine and primary health care. Indigenous medicine was developed. Regional hospitals were upgraded, and new hospitals built. The Sri Jayewardenepura hospital is one of the most modern health facilities in South Asia. Private hospitals were encouraged. Impressive as this record remains, it gives only a brief insight into the extensive achievements of the UNP, which took place on a grander scale. In passing on a plenitude of riches to the people, the UNP made independence meaningful to all. People's lives changed for the better.